Guyana has a lot of bird life. Of course, they have no business being in my garden. What’s wrong with them? They have the whole Amazonian rainforest to flutter about in. 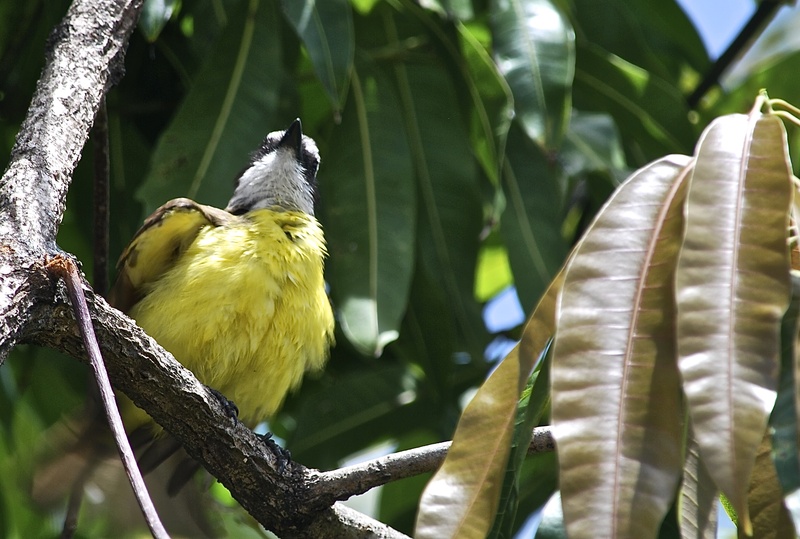 Most annoying is the noisy Kiskadee. Cheeky thing would come and peck me on the nose if I didn’t show it who is boss. Rather like myself, it will eat almost anything. 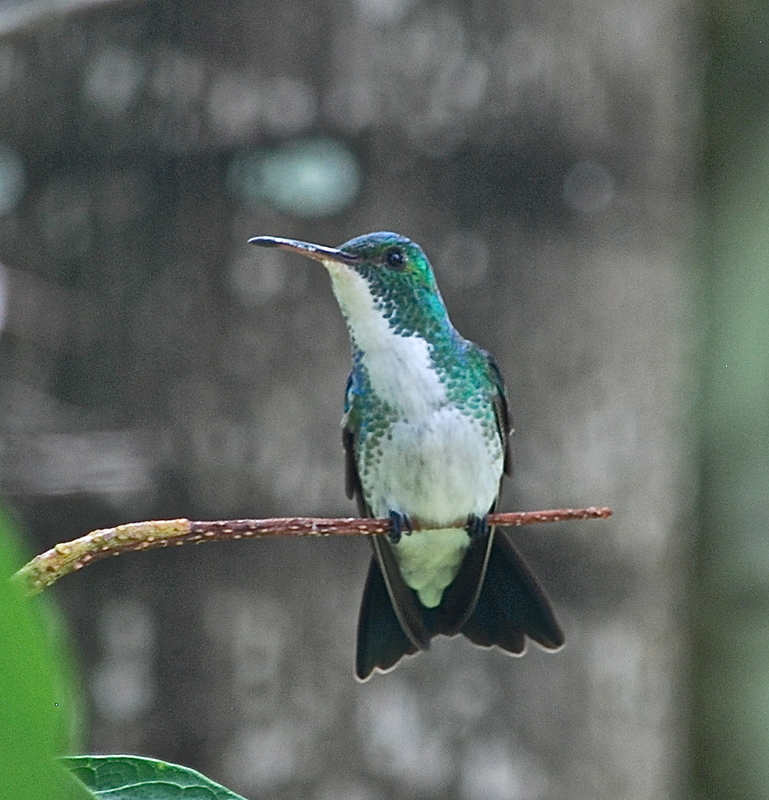 Another regular visitor is the White-chested Emerald Hummingbird. Like me, it devotes time to sniffing the flowers. A tasty snack at just 4.6g: hardly any calories.